Irish immigrant Maria Fassett Harvey lived at 713 South 11th Street, Philadelphia, in April 1865. When she learned that Abraham Lincoln’s body was to lie in state at Independence Hall, she, like many other Philadelphians, searched for an American flag to hang out of her window. Maria could not find a flag to buy, so she purchased the necessary materials, and made her own. 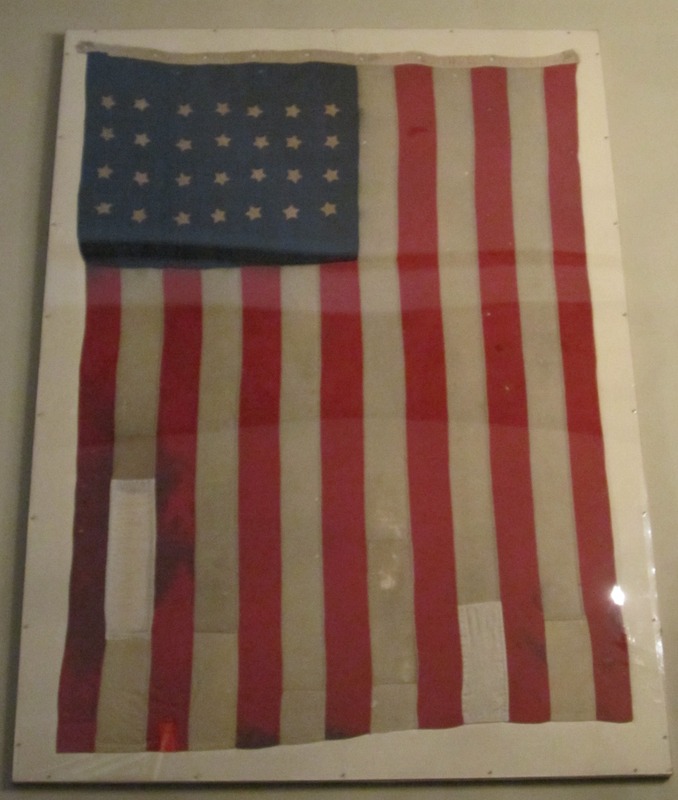 The flag has the appropriate 13 stripes, but features only 28 stars although there were 35 states in the Union. A bulletin from Maria's church, dated February 1901, describes Maria Harvey’s motivations and how she used the flag to mourn the loss of every president since Lincoln’s death.